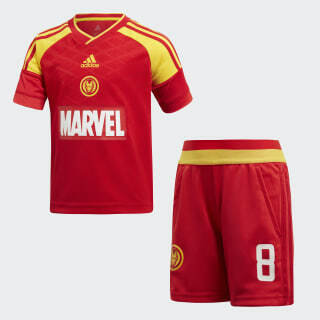 A football set for young Iron Man fans. Your little striker can be a superhero on the pitch in this Iron Man-inspired football set. 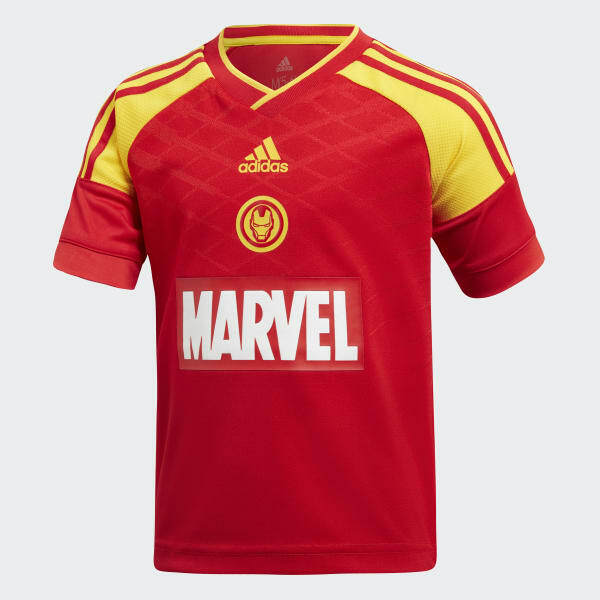 It includes a jersey featuring a Marvel print and Iron Man's alter ego Tony Stark's name and number on the back. Knit shorts with front pockets complete the set.